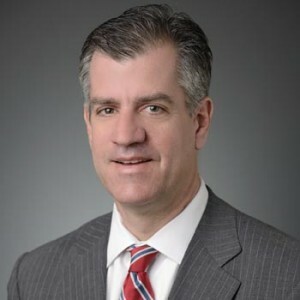 John McManus is President and founder of The McManus Group LLC, a consulting firm specializing in strategic policy and political counsel and advocacy for health care clients with issues before Congress and the Administration. The McManus Group services clients who are leaders in their respective field across the health care spectrum from the pharmaceutical, biotechnology and medical device industries, to physician groups and employee benefit managers. The McManus Group was founded in 2004 and has built a reputation of substantive policy expertise that is trusted by key policy makers in both legislative chambers and in the Administration. Prior to founding The McManus Group, McManus served Chairman Bill Thomas as the Staff Director of the Ways and Means Health Subcommittee, where he led the policy development, negotiations and drafting of the Medicare Prescription Drug, Improvement and Modernization Act of 2003. The MMA provided a market-based, comprehensive prescription drug benefit, reformed Medicare and established Health Savings Accounts. McManus worked for Chairman Thomas for six years, where he also played an instrumental role in the Medicare Commission, Patients’ Bill of Rights and other Medicare legislation. Before working for Chairman Thomas on Capitol Hill, McManus worked for Eli Lilly & Company as a Senior Associate from 1994-97 and for the Maryland House of Delegates from 1993-94 as a Research Analyst, briefing the Chairman of the Economic Matters Committee and the members of the Health Subcommittee. McManus earned his Master of Public Policy from Duke University and Bachelor of Arts from Washington and Lee University.